ExtraCare Traditions – Jon Cleaver – R.I.P. This is a re-post of a blog I first posted in January last year, sadly I have to report that Jon passed away in hospital in Coventry at the weekend. He made a unique contribution as a volunteer at ExtraCare and enriched the lives of all the residents he photographed and wrote about. Jon’ s warm smile and likeable style, together with his considerable journalistic skills helped champion the value in older people that they were often too modest to talk about themselves. He will be much missed by everyone who knew him. God bless you Jon. THIS IS AN ACKNOWLEDGMENT OF THE CONTRIBUTION MADE BY JON CLEAVER TO THIS SERIES OF BLOGS DESCRIBING SOME OF THE HISTORY AND CULTURE OF THE EXTRACARE CHARITABLE TRUST. The photographs that accompanied all the ExtraCare Tradition blogs were taken by a truly, extraordinary volunteer – Jon Cleaver in the picture above. Jon started as a volunteer working with our Activities Manager — Mike Hallam. That was over 25 years ago and he has been involved almost every week since then ! We initially used his skills as a professional photographer to champion our activities work and publicise it in our “Roundabout” magazine. Over the years he will have taken thousands of photographs of our residents and he quickly became a fixture in the activities team. His contribution has been immense and he went on to hone his journalistic abilities by writing the “Meet Cleaver” pages in the Extralife magazine. Each one of these is a thoughtfully researched story of the life of an ExtraCare resident. There cannot be a better example of what a volunteer can contribute to an organisation and I pay tribute to him for every hour he has given to ExtraCare, and for the joy he has brought to hundreds of residents lives. This entry was posted in Uncategorized and tagged "ExtraCare Traditions". Bookmark the permalink. 10 Responses to ExtraCare Traditions – Jon Cleaver – R.I.P. It was a great journey to have travelled with an inspiring group of residents, staff and volunteers. I am glad your mother enjoyed her part in it, please pass on my regards and best wishes to her. Values are in the soul and less obviously on the balance sheet or in regulations. Nonetheless I believe strong values and pursuit of excellence are the most important issue in the care of older people. I am sure you continue to emphasise this in you consultancy work. May I add my thanks and gratitude for the work that Jon has done in his extraordinary ‘career’ at ExtraCare. I had countless discussions with Jon on every conceivable topic but what I remember most was his depth of knowledge and commitment to sharing the stories of resident’s. The fact Jon has done so much as a volunteer is a true testament to his character and I am privileged to call him both colleague and friend. Well said Phill. I am sure you view would be echoed by the many others who have met or worked with Jon. Thanks Michael and don’t forget that the money you raised as a fundraiser made many of the ExtraCare Traditions possible. John, I note the high regard and respect you had for Jon, and have today for his memory. I trust you carry your many images of Jon for many a day in the future. There are times when five minutes with ones thoughts are more precious and personal than time with survivors, who may not have shared your experiences of life and work, and yet believe in what you and your friends and colleagues initiated as a vision of what life can be, or attained in ones older years. Many thanks for your thoughts David. As a volunteer yourself in ExtraCare you will appreciate how important volunteers are to the vision and model we had for later life. Jon Cleaver was the best example we could possibly have hoped for in the Central Team. This is very sad news. 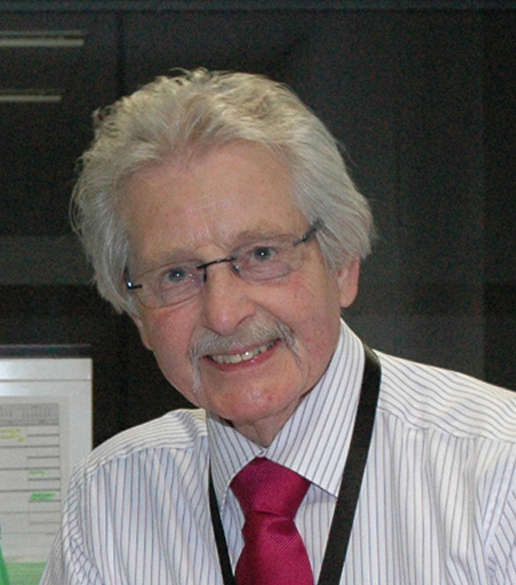 Jon Cleaver was a true gentleman who epitomised the very best of ECT. I enjoyed Jon’s company immensely and we had numerous chats about a multitude of topics from Sport to Politics. I had an email from Jon in May last year, completely out of the blue. He wanted to tell me how thrilled he was about Leicester City’s league win and how the whole story was amazing. He had neither seen or heard from me in the last 6 years but It was great to share another sparkling conversation with him and I was touched that he remembered I was a fan.